Trends in Salivary Testing wishes you a Happy Thanksgiving! Enjoy this blog re-post from 12/30/2016. In December 2016 researchers from Johns Hopkins University published a study in Science Translational Medicine indicating an identified link between periodontal disease and rheumatoid arthritis (RA). It would perhaps be more accurate to indicate that rather than periodontal disease being the causative agent, the perio pathogen Aggregatibacter Actinomycetemcomitans (A.a.) was found to be involved. The link between A.a. and RA involves a process called citrullination; which is the conversion of the amino acid arginine into the amino acid citrulline. In the case of RA, this process was discovered in host neutrophils. The research found that Aa caused citrullination, demonstrating the potential role for A.a. in causing rheumatoid arthritis. The study authors analyzed the gingival crevicular fluid (GCF) from patients with periodontal disease and healthy controls. The study found that the GCF from perio patients had significantly higher levels of inflammatory markers and citrullinated proteins. The spectrum of protein citrullination in the GCF was very similar to the protein citrullination found in the joints of individuals with RA. Previous studies have found the same linkage between another perio pathogen, Porphyromonas gingivalis (P.g. ), and RA. 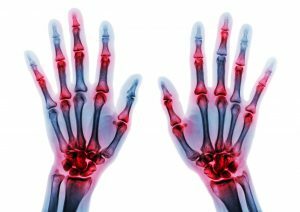 If further studies affirm the causative association between perio pathogens and RA, bacterial identification will be vitally important for patients with rheumatoid arthritis or those with a family history of RA. It bears noting that bacterial testing should be undertaken regardless of the presence or absence of periodontal disease, since the connection is between the oral bacterial profile rather than periodontal disease. It is truly an exciting time in which the ability for dental professionals to impact the health of patients beyond the oral cavity is expanding. Dr. Richard Nagelberg has been practicing general dentistry in suburban Philadelphia for 34 years. He has international practice experience, having provided dental services in Thailand, Cambodia, and Canada. He is an advisory board member, speaker, key opinion leader and clinical consultant for several dental companies and organizations. Richard has a monthly column in Dental Economics magazine, “GP Perio-The Oral-Systemic Connection”. He is a recipient of Dentistry Today’s Top Clinicians in CE, 2009-2016. A respected member of the dental community, Richard lectures internationally on a variety of topics centered on understanding the impact dental professionals have beyond the oral cavity.